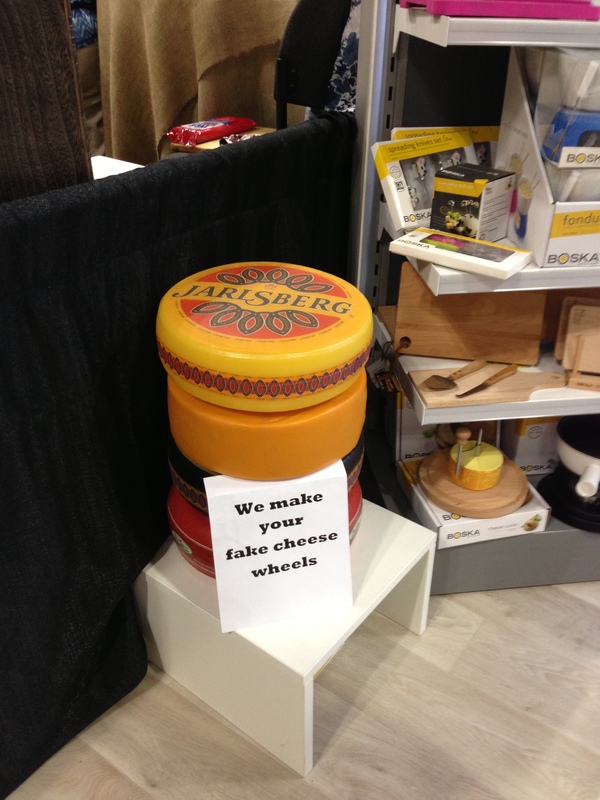 This entry was posted in Media Events, NY, Wordless Wednesday and tagged fake cheese wheel, fancy food show 2013, silly by jessica. Bookmark the permalink. Ha ha! I think it is hilarious! I would say that is slightly odd. Well, I guess there are no calories in the fake cheese…. odd. is that like the appeal antique decorative cookie tins? Thank you for linking up. I am glad you found me. I shall also join all of your social sites right now. Have a fun and favorite day!